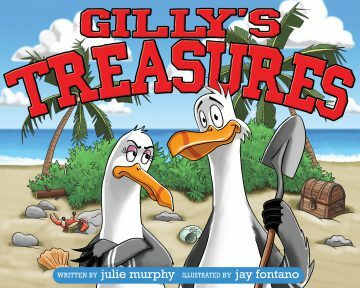 Gilly the seagull loves finding treasures—especially bright, shiny seashells! But will this silly seagull miss the treasures already in his life? Julie is an Australian children’s writer based in Melbourne, Australia. A trained zoologist and zookeeper, she most enjoys writing about animal-related topics. She has published fiction and non-fiction, educational, reference and various other work.